Camp for €20,- a night at Lanyon Holiday Park in low season with CampingCard ACSI. Lanyon Holiday Park, located in Four Lanes (Cornwall), is a campsite with 105 touring pitches and 20 year round pitches. With your CampingCard ACSI you can camp on one of the pitches during the following periods: 01-04-2019 - 15-07-2019 and 01-09-2019 - 30-10-2019. At this campsite you can not only use your CampingCard ACSI for inexpensive camping, you can also use your ACSI Club ID (as an alternative ID). Beautiful park, views towards St. Ives Bay. Near Falmouth & Penzance. Walk to Great Flat Lode, a historic mine trail, ideal for walkers/cyclists. Beach Portreath 8 km. 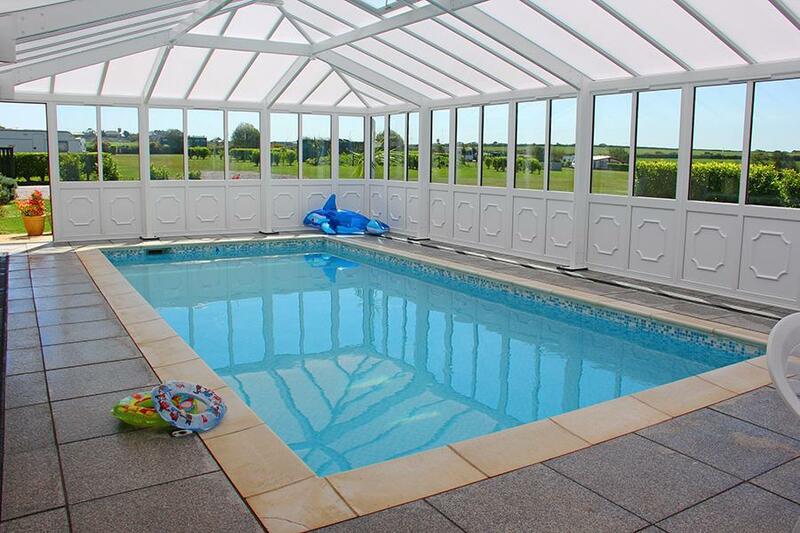 Indoor swimming pool, 3 sanitairy blocks, games room, playground, bar/restaurant, dog walking paddock. Would you like to book Lanyon Holiday Park or request more information? You can do both using the information below. A30 exit Redruth. Continue towards centre, take B3297 Helston. Enter Four Lanes Village, 2nd right into Loscombe Lane. Park on left. Advice: follow this route, not SatNav. CampingCard ACSI will send your information request to "Lanyon Holiday Park".